When John Wilson moved from Washington D.C. to Los Angeles with his young family in 1982 to accept an aerospace engineering position at Hughes Aircraft, he had no idea that his calling would eventually lead him away from launching satellites toward launching the college dreams and careers of youth. Soon after he arrived in the City of Angels, Wilson met with the then, Rev. Charles E. Blake. – a rising star within the growing black Pentecostal denomination of the Church of God in Christ. 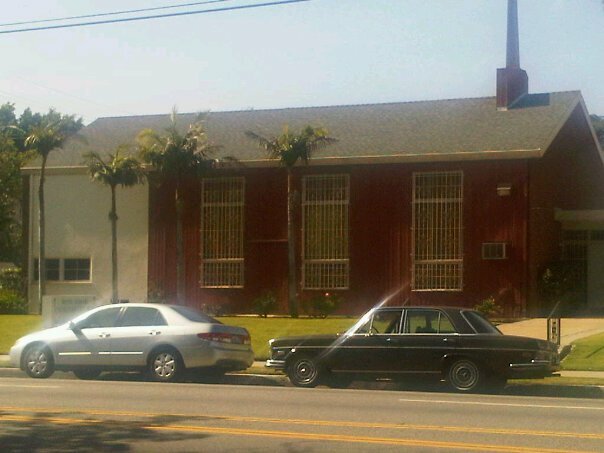 Under Blake’s adept leadership, West Angeles had experienced remarkable growth and was planning its expansion from a modest chapel on West Adams Blvd. to a larger complex on Crenshaw Blvd. which would accommodate its burgeoning congregation. During their first dinner together, Bishop Blake’s words left a lasting impact on Wilson. Blake shared his vision that West Angeles would become a cornerstone institution that served both the spiritual and social needs of the city’s historically black Crenshaw District. Their meeting was more than a cordial conversation and an enjoyable meal – it marked a synchronization of two great minds. Both men believed that the church’s future rested on its commitment to meeting the needs of the whole man and the whole family. Wilson became so active in the church that he was appointed to the West Angeles Deacon Board as one of its youngest members. He also joined the church’s Men’s ministry, called the Brotherhood, which stressed the importance of male fellowship and boy’s mentorship. His first act of mentorship was as the founder and Head Coach of the church’s boys’ basketball team which competed in the city-sponsored sports league. He leveraged the lessons that he learned from his own personal mentor – his high school basketball coach at Maranatha High – to transform a group of boys with untapped raw talent into a unified team that would eventually clinch the league’s championship title. Wilson learned as much from coaching his players as they had learned from him. He began to rethink his life’s purpose – seeing himself as more than an engineer but also as a developer of young talent. His calling was further confirmed in 1991 when he answered Blake’s commission to start a Rites of Passage program. This kind of youth program was becoming increasingly necessary as West Angeles attracted more and more young families to its doors. For 10 years, Wilson oversaw the moral guidance of the church’s teens under Rites of Passage. But he discovered that they were also in serious need of life guidance. Many, faced academic failure in school and failed to enter college, which only crippled their prospects for promising careers. Those who struggled to find gainful employment were often caught in cycle of poverty or street life. In response, Deacon Wilson turned the focus of his mentorship toward improving the educational achievement of inner-city youth – which he believed was the prerequisite of their success. From 2001, Wilson began to build an impressive range of educational programs at West Angeles that rivaled those of surrounding schools. Using his love for math, he began the church’s first after school math tutoring program in 2001. Wilson also partnered with LaVerne University’s Masters Academy in 2002 to prepare high school students for college. A year later, he launched the church’s first summer bridge program and in 2004, by partnering with Princeton Review, West Angeles became one of the test preparation giant’s few community-based training centers in California. Today, the Education and Enrichment Program at West Angeles stands as one of the city’s select full-service academic enrichment programs and a leading, independent authority on affordable higher education options for families. From modest beginnings of serving a dozen of youth, EEP now serves over 500 families annually in through its five major programs. Wilson often says that he loves what he does. His passion for enriching the lives of youth is matched by the long-time friend, mentor and visionary of Charles E. Blake who has supported his call to social ministry.